If so, then you may have heard it has had a new update in recent news. Dubbed as the Betty update, this introduces a lot of new features keyed to the convenience of its users and to the security of their WordPress websites. Also, they have given a beloved WordPress extension, the Gutenberg, a long-awaited update. Learn more on that and everything else that’s new to you by giving our guide below a look. Read on and find out how the new updates are working with WordPress and whether they would work for you. One of the best features of the WordPress update is the PHP compatibility requirements for plugins and themes. WordPress is a big pool of plugins waiting for you to use them. Themes are also abundant in their stores as each user yearns to make their websites unique. The problem before was a great majority of the themes and plugins weren’t compatible with some users. This is due to them having a different device or most of the time, server. As a result, a lot of people missed out on using different splendid themes. In some cases, the installation would go through. This would then lead to some complications with what the developers are building the next time they use WordPress. The most common problem was that it would only show the minimum version of PHP the user should use for it to work. 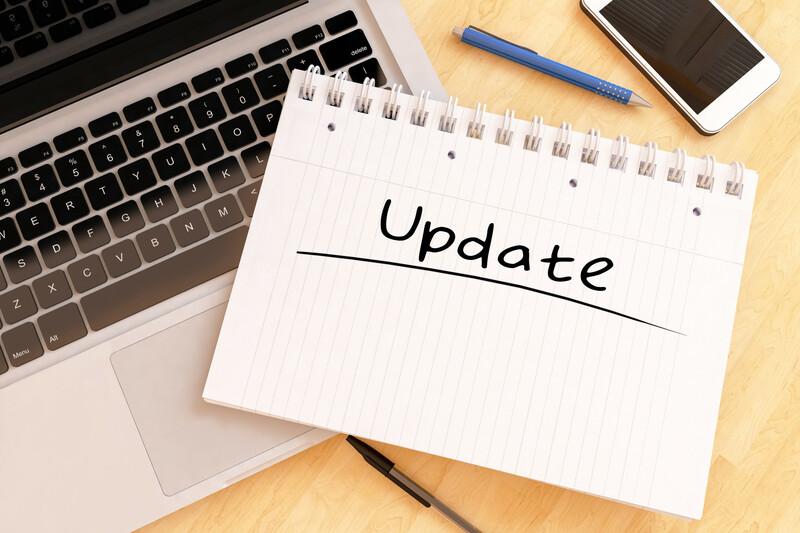 Now, the update forces these plugins and themes to have a version compatible with updated PHP versions. Also, WordPress will now send you a notification in the event you’ve installed a theme or plugin that is incompatible with your current version of PHP servers. This will save you lots of time scouring your website looking for what’s incompatible. It will prevent you from installing the said plugin/theme in the future. This will keep on happening unless one of you becomes compatible with the other. With the Betty update, plugins and themes in the WordPress store now upgrade themselves to match the latest PHP version. This means users of the old PHP versions now miss out on a lot of new content though. Lots of users now update their current PHP to match the latest plugins now. There’s a looming threat when a developer is doing this though. While updating their PHP, there are chances their websites crash, leading to the “white screen of death”. Think of this as the blue screen but for web developers and website designers. Good thing the WordPress 5.1 update releases a new feature that helps prevent this. The white screen of death prevention feature protects websites from having a failure in the middle of an operating system update or when something happens to the hardware. This saves the developer from having to deal with data loss and system restoration. This is important because restoring data can take a long time depending on how much data you’ve lost. Right now, this feature appears and disappears in WordPress version 5.1. The reason for this is because developers still consider as buggy and flawed. However, they did make guarantees of it having full functionality in version 5.2. Make sure to run maintenance on your WordPress website to keep yourself updated. The WordPress 5.1 update also released a new plugin along with it when it launched. This plugin is one of the features intended to help with the stability and security of one’s website. This certain plugin had administrators running on old PHP versions in mind. This plugin shows you the statistics of your website after doing a quick evaluation of it. It tells developers what version their PHP is, what plugins are incompatible with their current PHP version, the version of the server database, and the latest version of WordPress. All these help their users know if what they’re running is at risk of getting a white screen. Understanding WordPress starts off with the capabilities of your website and server. With the Health Check plugin, you’ll know what themes and plugins you can and can’t get for the website. The biggest feature in the update is an upgrade to the Gutenberg editor software. In previous versions of WordPress, the Gutenberg was a groundbreaking editor. This was because it revolutionized content creation in the site. Before, people had to visualize many lines of code to write down to make a page. They would then place that code and all aspects involving it into a single block of content. This meant that editing a block could jeopardize the entire code written beforehand. The Gutenberg changed it so you won’t have to edit out an entire block. The only things you handled in the block were the ones you needed to change like your images or video clips. WordPress’s update expands upon the basis of Gutenberg’s first release. Now, developers have the ability to edit the design of their websites through the editor. Also, the update enhances its performance, making it more intuitive and smoother. These allow developers to grind out more content than they could before. This opens up possibilities like better productivity or increased marketing potential. How to use WordPress 5.1? It all begins with understanding what’s new to you in one of their biggest updates. Read up and know your way around WordPress 5.1 now! Need help with your website? Contact us here and we’ll help you with whatever you need as soon as possible.